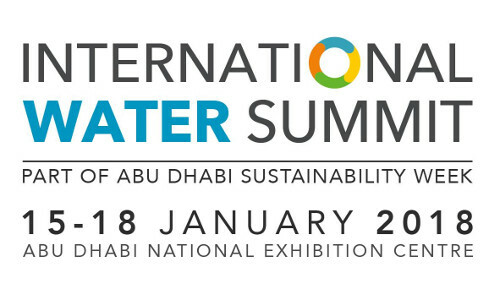 International Water Summit (IWS) is the world’s leading global exhibition dedicated to developing solutions for water sustainability in arid regions. IWS brings together over 9,200 visitors from 111 countries attracting government leaders, policy makers, entrepreneurs and thought leaders. It is the perfect opportunity to network and source products from 150+ exhibiting companies from 22 countries and uncover the latest advances in water sustainability. This directly supports SDG 6, to ensure availability and sustainable management of water and sanitation for all. The International Water Summit (IWS) conference brings together industry leaders from around the world to share their thinking, exchange expertise and insights and discuss best practice in the water industry. The conference, which is at the heart of Abu Dhabi Sustainability Week (ADSW), cultivates much-needed dialogue between critical stakeholders, including heads of state, government officials, academia and the business and financial communities to discuss water strategies, technologies and sustainability, particularly for arid regions. Abu Dhabi Sustainability Week features four days of discussion and collaboration between policymakers, investors and thought leaders. It includes Abu Dhabi Global Action Day which aims to turn the ambitious goals of COP 21, the Paris Climate Agreement and the 2030 Agenda for Sustainable Development into innovative, yet practical policy, investment and technology solutions and partnerships.